A classic scifi rocketship design. The artist signature series designed by Scott Willis. 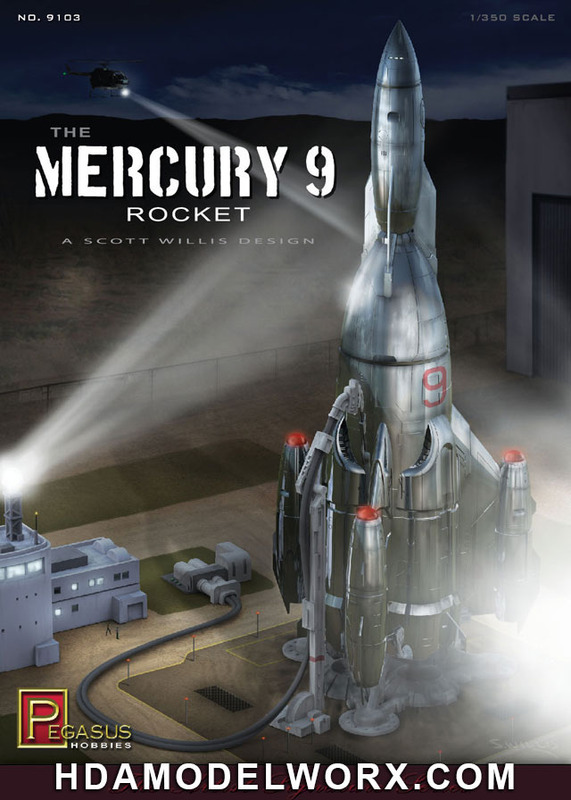 A rocket concept ship design inspired by the 1960's and 1970's, the Mercury 9 rocket is a modern take on the classic rocket designes we all grew up with as a kids. Kit includes: 65 pieces molded in grey plastic makes up one rocket and accessories. Instant and Easy SPACE DOCK Diorama Display Pad Kit by GREEN STRAWBERRY NEW PRODUCT!